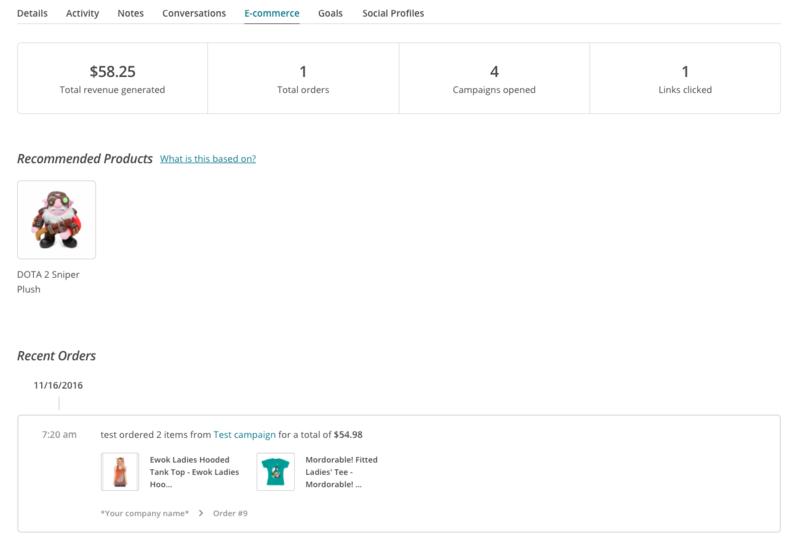 Put your e-commerce data to work with Mailchimp. It's the world’s leading email marketing automation platform. 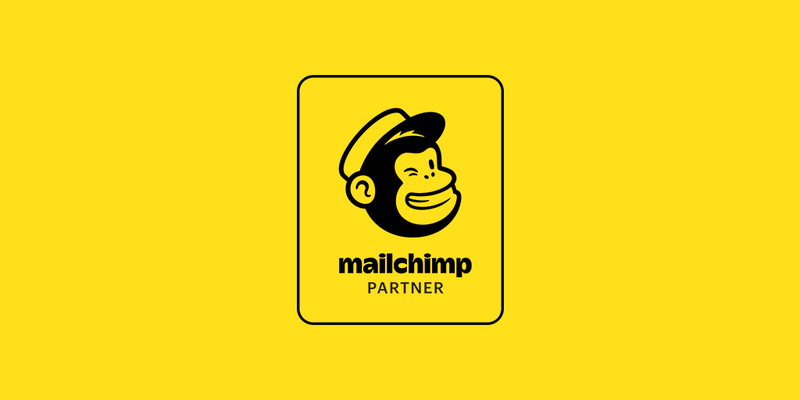 From small e-commerce shops to big online retailers, 17 million customers use Mailchimp to reach their customers. It helps to build their brand, showcase their products with style, recapture lost sales, and sell more stuff. 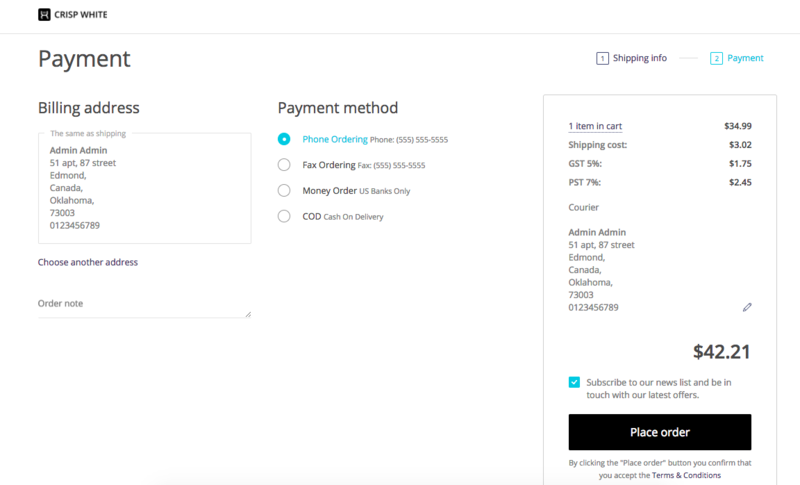 Connect your online store to Mailchimp and your customer data—including purchase history—will be synced with your Mailchimp account. You'll learn more about your customers and will be able to communicate with them in a smarter, personalized way. 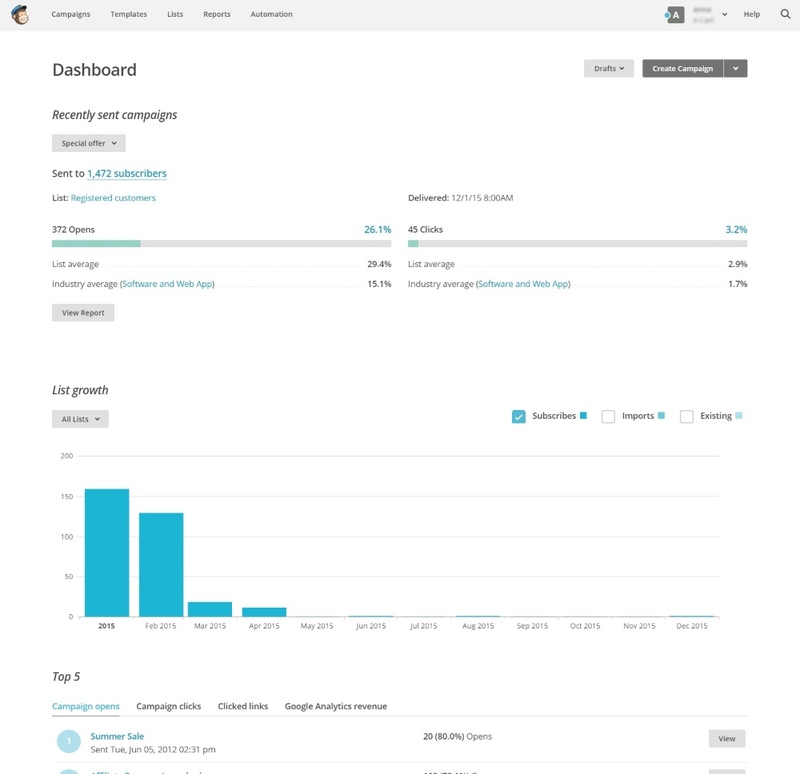 Track individual visitors of your website attracted by your Mailchimp campaigns. Capture order information. Pass it all it back to Mailchimp. Visit the Reports page in your account for purchase details, conversions, and total sales. Segment your customer list to create more targeted campaigns. Send emails to customers based on the ordering frequency, particular purchases, order totals, memberships and more. 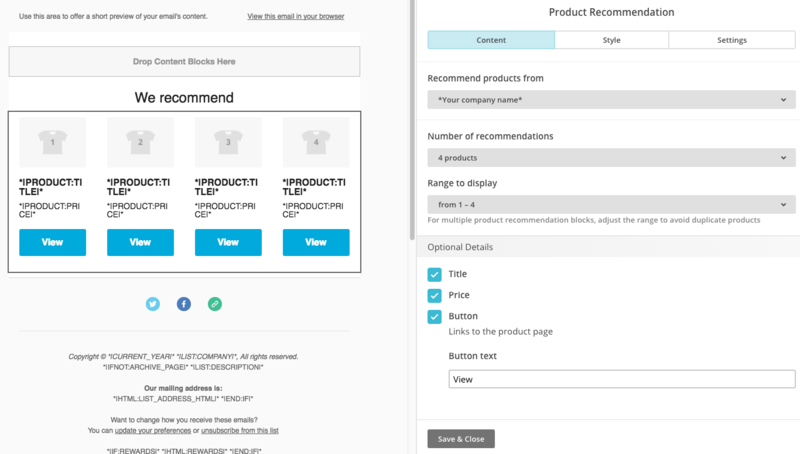 Enable maximum personalisation in your email campaigns to customers with Mailchimp Product Recommendations feature. Check the subscriber profile page to see which products will appear in the recommendation block in the email to this subscriber. Mailchimp’s marketing automation emails talk to your customers just like you would. It means that you can focus on running your business. Send an on-boarding series to introduce new subscribers to your business. Enable automatic follow-ups to customers who've just subscribed or purchased a product. Surprise your best subscribers with a coupon triggered by their shopping behaviour. Smaller accounts are able to take advantage of all of these features, including automations, for free. Pricing plans start at $10/month and grow flexibly with the size of your list. New subscribers get a confirmation email. They need to follow the link in it to complete the subscription. 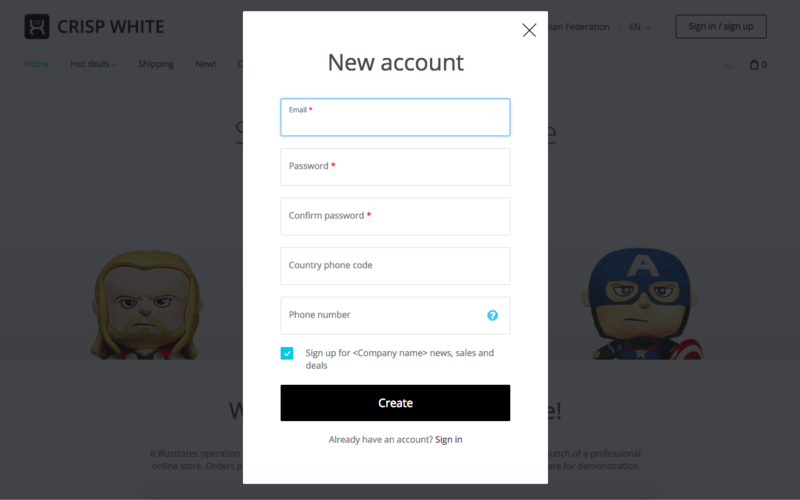 You can enable single-opt-in, too. A customer subscribes once and gets to all the lists with the Subscribe by default check-box enabled. The admin can view the lists right in X-Cart back-end. Customers can subscribe/unsubscribe to the lists and the list groups that you create in your Mailchimp account. 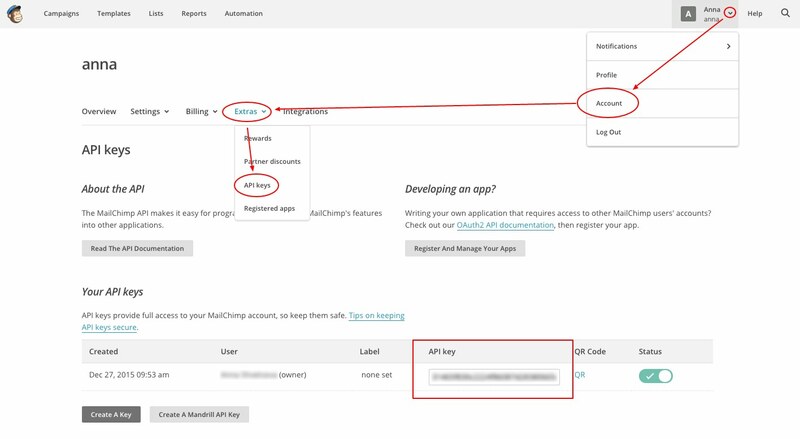 The admin can update the user subscription preferences on the User Modify page of X-Cart admin area. 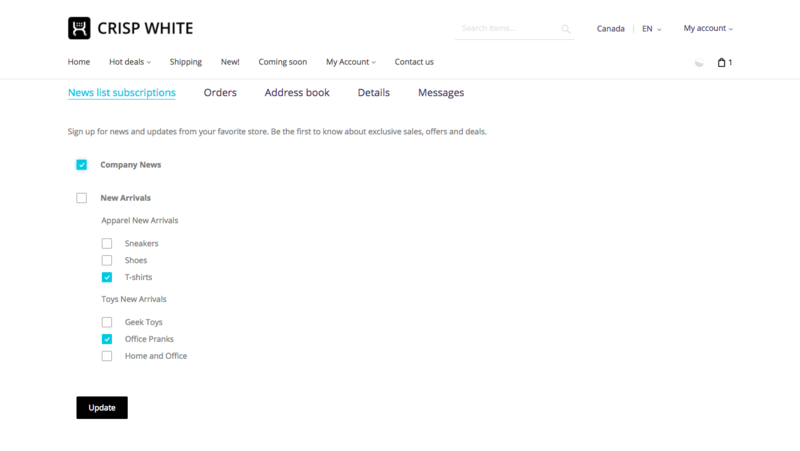 Registered customers can change their subscriptions (add more lists or unsubscribe at all) on the Account details page.